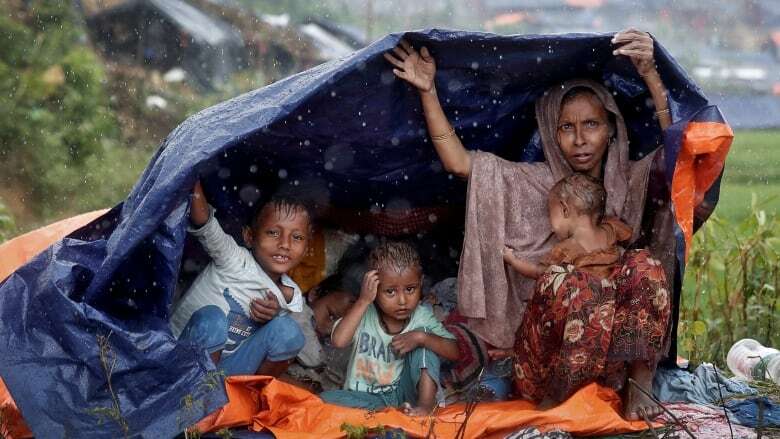 Rohingya refugees in Bangladesh could die due to a lack of food, shelter and water, given the huge numbers fleeing violence in Myanmar, an aid agency warned on Sunday, as authorities began moving people to camps to streamline the distribution of help. Nearly 410,000 members of the Rohingya Muslim minority fled from Myanmar's western Rakhine state to Bangladesh to escape a military offensive that the United Nations has branded a "textbook example of ethnic cleansing." 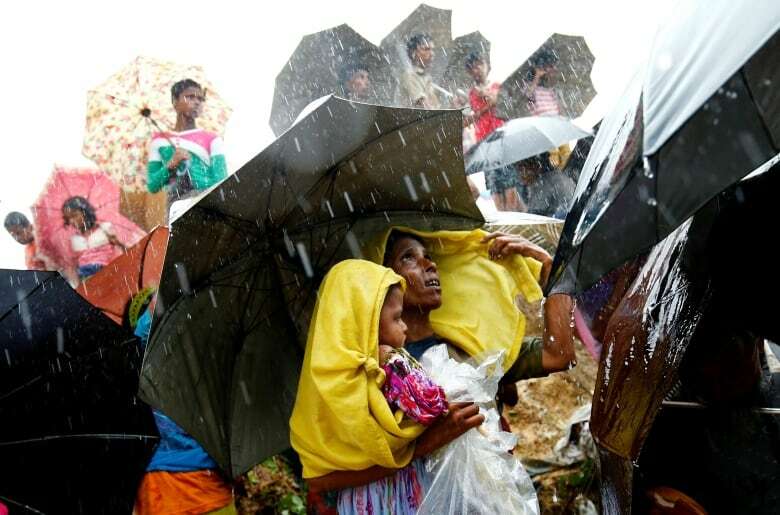 "Many people are arriving hungry, exhausted and with no food or water," Mark Pierce, Bangladesh country director for the Save the Children aid agency said in a statement. Bangladesh was already home to 400,000 Rohingya before the latest crisis erupted on Aug. 25, when Rohingya insurgents attacked police posts and an army camp in the western state of Rakhine, killing a dozen people. "That can only be done if the international community steps up funding," he said. Rights monitors and fleeing Rohingya say Myanmar security forces and Rakhine Buddhist vigilantes responded to the Aug. 25 insurgent attacks with what they say is a campaign of violence and arson aimed at driving out the Muslim population. The Myanmar government has declared the group a terrorist organization and accused it of setting the fires and attacking civilians. "We're not allowing any distribution to anyone from the side of the road," said district government official Kazi Abdur Rahman. "We want to convince them there's everything in the camp and nothing here." "People are living in these muddy, awful conditions. You have to get them to some sort of space where aid can be delivered," said Chris Lom of the International Organization for Migration. "Clean water and sanitation can only be delivered in a structured environment." On Sunday, UNICEF said it would be vaccinating 150,000 Rohingya children under age 15 for measles, rubella and polio over the next week. The campaign was planned and organized by the World Health Organization, UNICEF stated in a news release. "Measles is a very infectious and dangerous disease during emergencies, especially for children who are already weak and malnourished," said Edouard Beigbeder, UNICEF's representative in Bangladesh. "With thousands of children crossing the border every day, vaccination is crucial to prevent the spread of potentially deadly diseases." Her foreign supporters and Western governments that backed her campaign against military rule, and see her as the best hope for Myanmar's future, will be hoping to see her make a commitment to protect the rights of the Muslim minority. Suu Kyi's supporters at home could be disappointed if she is perceived to be caving in to foreign pressure and taking the side of a Muslim minority blamed for initiating the violence. The political party founded by retired officers and trounced by Suu Kyi's party in the 2015 election, could be expected to take heart to see her support eroded by the crisis.